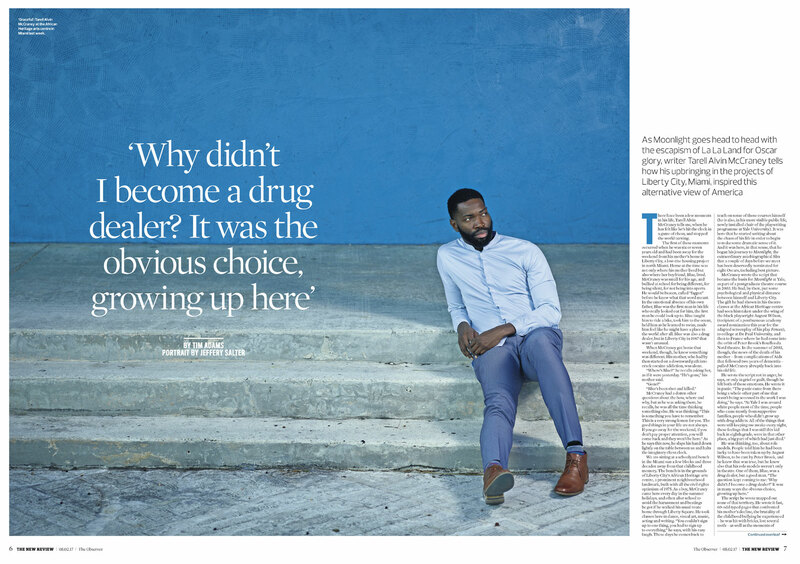 Moonlight Oscar-winning screenwriter Tarell Alvin McCraney who wrote the film Moonlight which was awarded the Oscar for Best film was based upon his life growing up in Miami, Florida. He was photographed by Miami advertising and lifestyle photographer Jeffery Salter in South Florida for The Observer Magazine. McCraney wrote the play “In Moonlight Black Boys Look Blue”. He was photographed in Liberty City, Florida by Miami based Advertising, celebrity, people and commercial photographer Jeffery Salter. Salter has also photographed Miami Lifestyle and Fitness photographer, sports advertising and commercial photographer Jeffery Salter. Jeffrey is an award winning photographer who also does fitness and celebrity portraiture. He does location photography in Atlanta, Miami, Orlando, Tampa, New York City , Los Angeles and Dallas.